Thanks @Grey hair and @fatbiker! So basically I shouldn’t worry of getting few fines on the screen of CU? My idea of inserting a fine screen between the capsule and the coarse screen of the CU does not add any value overall, related to cleaning etc..? I already have smell proof pouches. I use Ryot’s Packratz pouches. Slightly bulky for carrying but I do prefer the smell protection. Both can fit in a Partyvac tube that has pregrinded stuff. Or preloaded capsules. I usually have to two strains in capsules in separate zip lock bag and a third bag for empty capsules. So far my capsules have stayed very clean, probably due to the dryness of strains. Mainoffender, Smknbud, blackstone and 4 others like this. Finer screens may help. Let us know how it works. I suspect they'll need cleaning frequently to prevent air flow restriction. Sounds like you have system that works. I've been looking at a soft case for my Mighty, as well as one for the Crafty. Thanks for the Packratz mention. I’m just going to chime in that all I use is the fine screens and always have in both mighty and crafty. BigJr48, bulleroi and CG420 like this. If you’re using the capsule then I wouldn’t worry about changing the screen in the CU unit. I’m glad to hear you have a smell-proof bag! Checked my order confirmation two years ago: I use Ryot Packratz Small for Crafty and Large for Mighty. Basically both can carry Partyvac and additionally the Large would take seceral capsules. But the Large is really bulky so Crafty with small pouch is definitely more stealty. I’ll do some research for science and will report later. I didn t use it much for quite some time and prefered my other Vapes but in the last days i returned to the Mighty and used it exclusively. I have to say it s still a great Vape - easy to use, consistent results and and smooth Vapor with good clouds if wanted. Easywider, blackstone, headdoctor and 1 other person like this. 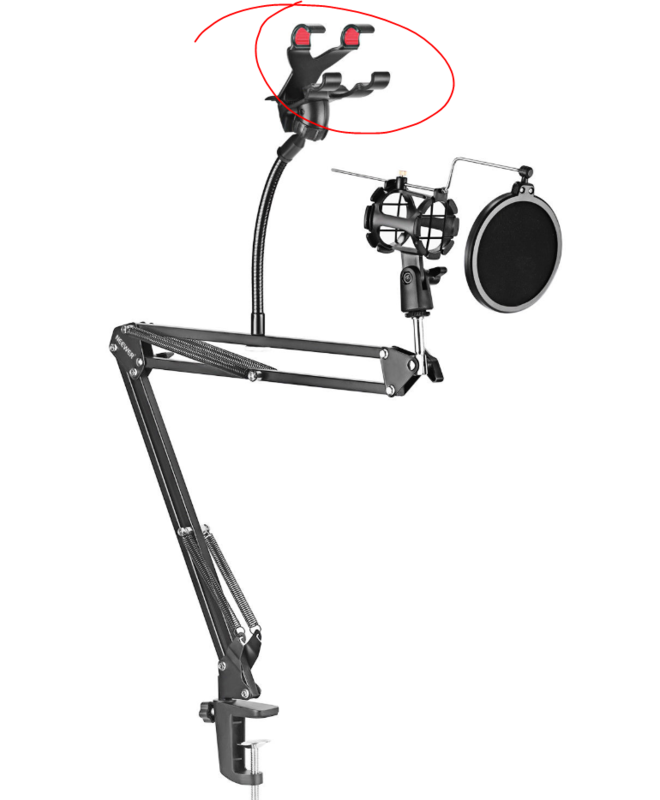 This is a desk mic stand, I wonder if this bit I circled would fit a mighty! for some hands free vaping lmao! Hi folks! Today is an exciting day, as my new Mighty is currently out for delivery. Hoping to get some tips in terms of unboxing / initial cleaning / settings / etc. to get the most out of this without spinning my wheels. bossman, Hogni, sk8man121 and 1 other person like this. ChooChooCharlie, Mainoffender and Grey hair like this. I always felt the mighty avb was too light and it it was a reason to not be totally content with the device as rightly or wrongly i see the light avb and feel like im missing out on some medicine, i like the cbd/cbn i vape to sedate not for stimulation. This is why my omnivap was so beloved to me. The omni began to grow tiresome on me and ive tried sbj & splinter i dont think full convection is for me. So there despite having and selling 2 mightys over 5 years im now a more seasoned vaper so thought lets give it a go again now. I use it exclusively with oil pad on top, if put comparible load to my omni xl get 3 bigger clouds consistently without the fuss so it wins there but still the avb is too light i want it darker so was annoyed that i get bigger wonderful clouds but lighter avb and i felt less high than my omni. After a few days and alot of bowls i realised 2 things which revolutionised my Mighty use. 1: Draw slow, literally on the edge of the whistle so you dont gear the whistle. You get juicy clouds and nice darker brown avb. I always wanted to love the mighty but couldnt but now i finally get it and do. Only 2 drawbacks which i will learn to live with, the device does leave an odour all the honey oil in the cooling unit smells i couldnt have it in my pocket and be in the car with my wife without her smelling it, even sitting next to her at home shed smell it easy which eliminates its portability factor to me. Also i have charge it at night it bathroom when shes asleep as out of its case it stinks so that's a bit of headache. Second being despite the high the temp vaping its very much a head high i.dont feel as much in my body the omnivap gave a lovely rounded body & head high. cloudsosmoke and BigJr48 like this. Picked up a new Mighty and 40 dosing capsules. I love these capsules and they are all I use anymore. They are inexpensive enough, about 3 cents, to simply throw away if you are on the go or you can keep them for reuse just as easily. I load all 40 by hand in just a few minutes and it is very easy. Then I use them until they are all empty to make sure my capsule herb is always fresh. If you just fill the capsules willynilly and don't keep track you could end up with degraded herb that ages out over time. 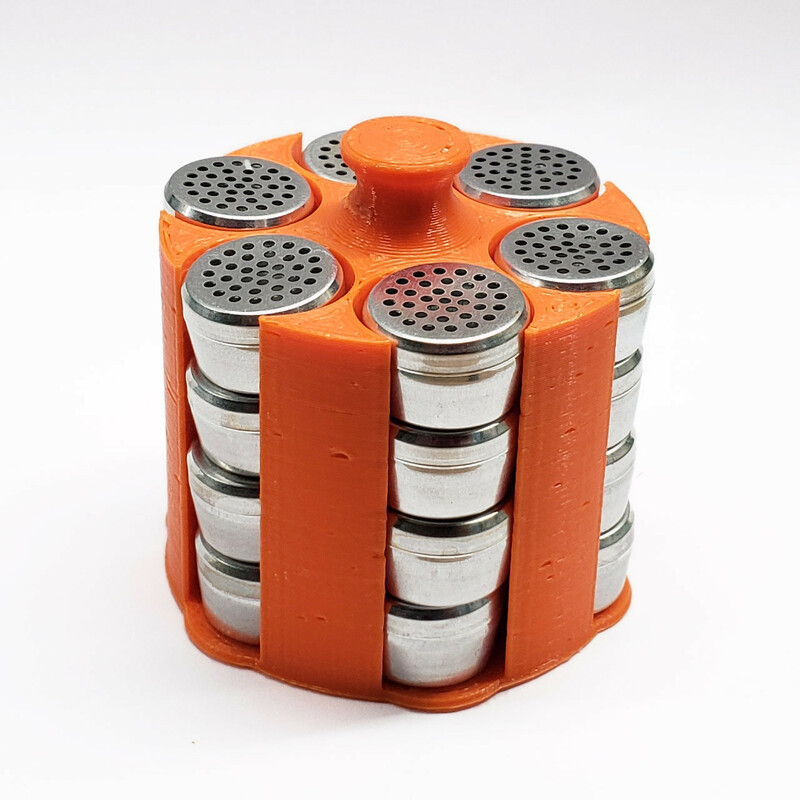 Then I headed over to delta3dstudio.com and picked up the S&B Capsule Caddy. I also got the blue JyArz Satchmo glass lined containers from puffitup. Beautiful! I think S&B's capsule system is one of the best. It works in their entire line of vaporizers. Everything is always nice, neat, and clean. With these capsules I am enjoying the S&B Mighty better than most portable vapes I have ever tried. Very luxurious for me to vape weed the S&B capsule way. Thanks @Ratchett for your great stuff as always. wombat24, Hogni, blackstone and 15 others like this. Starting my Christmas wish list after Nov.11th. This setup is top of the list. 'You have a case for the unit when you're out and about? I'm on the hunt for the perfect soft case. BornAgainSteama, Ratchett and BigJr48 like this. I found the perfect case in a thrift store. It is a lowepro camera case that fits the mighty absolutely perfect and includes a velcro closure front storage pocket for the S&B 8 dosing capsule cartridge and loops for the belt. In addition to working great out and about just putting it away in the pouch give an enormous amount of privacy and discretion over your naked vape just sitting out. Good luck on the case search. The search is half the fun. I seem to surprise myself all the time. 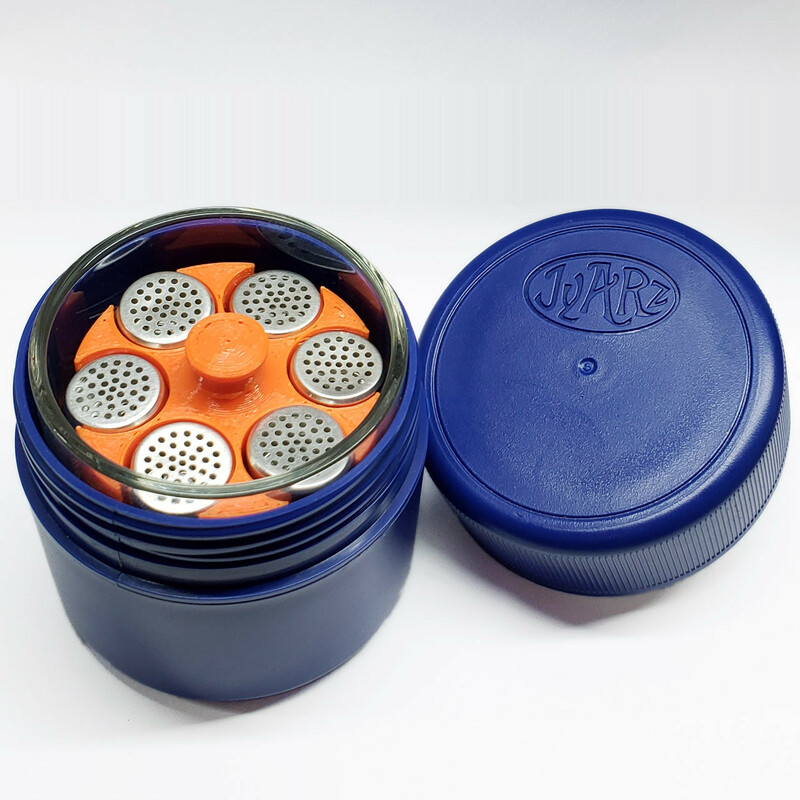 I find the dosing capsules also contain the smell of herb and your vaporizer very well. I would be surprised if someone could smell anything passively. I have a larger case that comes along if overnight that will hold Mighty, charger, 8-count capsule caddies and some misc (brush, extra o-rings), but for daily carrying in pocket of jeans or sweatshirt I use a micro-fiber draw string bag that used to hold some sun glasses. It's visually quite discreet, maybe takes care of some smell and keeps dust/lint out. I can slide one of the capsule caddies in there, too. It adds almost zero bulk to the Mighty. BornAgainSteama and BigJr48 like this. One thing I've learned on FC is most of the members appreciate a good case. The need for smellproofing it is pretty high on my list. 'Kinda like alcohol. Don't like the smell of it on some one. Thanks @BornAgainSteama and @vapviking for great ideas. I'll start my journey for the Holy Grail of cases. I don't even notice any smell at all when my mighty is in its case - zero. If you are worried about smell proofing you can keep a human nose from noticing any odor but you will never stop Fido. A dog will always be able to smell your stash smell proofing or not. Smell proofing is only for human noses. If people can't smell your stash then your bag has done its job. Loving my new Mighty. To that point of smell, though, I notice that if I pack a capsule tight, the vape leaks quite a bit of vapor from the mouthpiece between hits. I'm not concerned about "losing precious vapor" so much as I am smelling up my apartment (although it doesn't seem to be too smelly of a unit, really). Is this normal for the device? I always felt the mighty avb was too light and it it was a reason to not be totally content with the device as rightly or wrongly i see the light avb and feel like im missing out on some medicine, i like the cbd/cbn i vape to sedate not for stimulation. I always top my flower loads in the Mighty with a LP also. It adds a bit of conductive heat to the hybrid heating and does indeed result in completely even brown AVB that is fully extracted. Now, this does mean that I'm driving it to extract all of the chlorophyll also, but like yourself I medicate for pain and sedation at night mainly and I don't care....I just want to fully cash the load. Maybe 34 cents each? Still, rather cheap IMO. Vapor4me and BornAgainSteama like this. @Grey hair check this out. If you guys are interested I have used an odor control fabric called Zorflex (for wound dressing and odor control) to make pax cases. It works great and completely controls odor. The fabric is like a pellon fabric impregnated with carbon. You can easily make any case more smell-proof with it by just cutting a strip to line the inside sides of your bag then cut another strip from front to back with enough fabric to cover the top of your vape when you fold it shut to close your bag. Your vape will be completely encased in the carbon odor control fabric. Easy as pie. No sewing needed. There are many brands of carbon impregnated fabric on the market I just happened to use Zorflex. Shreddies flatulence filtering garments are made with this stuff. It's the Mighty case I'm trying to dial in. But thank you for the suggestion. I'm always impressed at the members of this forum. RYOT rat packs very nice indeed. I don't know which one for the Mighty though. @BornAgainSteama you are a kindred spirit. Many thanks. I'll look into this. On another note, the" steama" portion of your name strikes great memories of a good friend of mine. He could rip a big mountain line that would make you giggle.